For this bracelets we have utilized green greenery agate globules, all hung on a solid stretch rope, to alter your wrist measure and to guarantee life span. 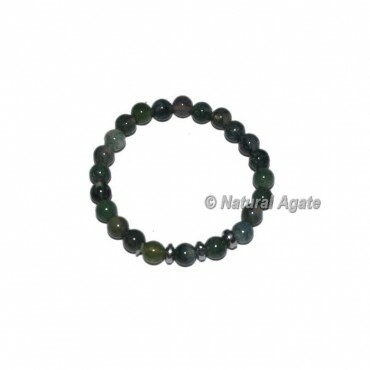 It is anything but difficult to put on and take off independent from anyone else, the ideal assistant to wear each day.Moss Agate is likewise a stone of riches, pulling in wealth in all structures. In the working environment, it draws new business and steady development, expanding thriving over time.For any uncommon request or for an outline of your decision get in touch with us straightforwardly.